You can get the original with the sports strap(which I think is very comfortable) or you can get a Elite strap. I have heard that is also very comfortable. You don't even know that you have it on your wrist. Of course, the metal Sport ID has my information on it so I have it twisted so you crazies will not stalk me but you get the point. 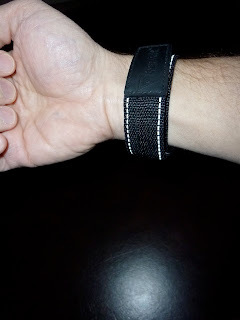 Here's a few pictures of what it looks like on my wrist. Now, there is really one main reason to wear this. If you get hurt, by a car, fall off your bike, collapse while running, etc. 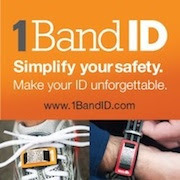 Someone who finds you or helps you will have an idea who you are and can call your family member who is showing on the ID bracelet. It's an invaluable tool and I think everyone would agree with me on that. The strap is washable(because it will get stinky). The product is made very well and will likely last as long as you live at your home. Ok, maybe not that long but a really long time. In addition to my RoadID, I also purchased a Firefly Supernova from them as well. What is that? It's a really light, really bright flashing or solid light. I purchased a red one and I use it whenever I run in the dark so cars can see me coming(or going). 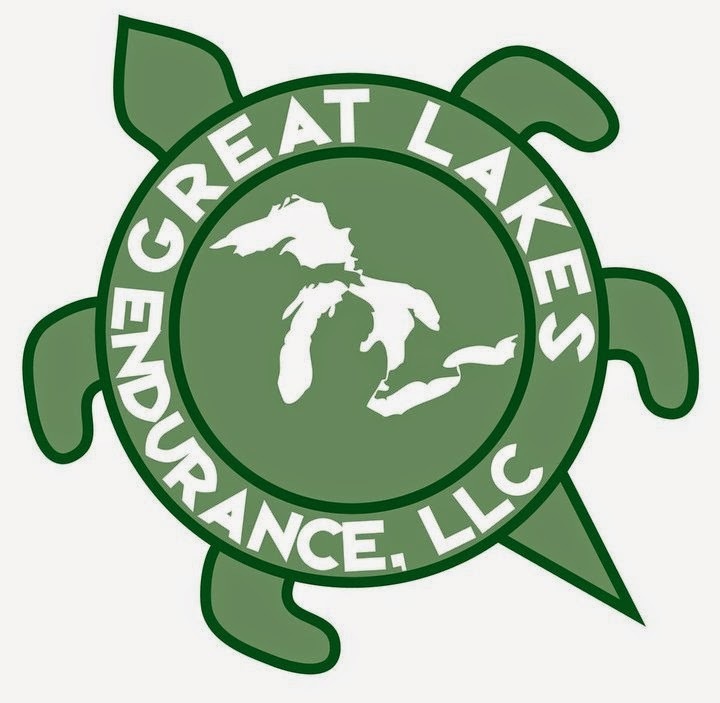 It's also an invaluable safety tool when running in the dark and because it is really light, I attach it onto my SPIbelt or my SPIbelt waterbottle. Of course, you can also get a wrist strap for that as well and I did buy one but really did not use it. I like it on the bottle or the belt better. Here are a few pictures of it. Depending on how you put the battery in, it will stay a solid color or it will flash. I usually use my as flashing. I've used it all winter with no issues with batteries. I'm sure because I'm not running hours on end in the morning run, it will last a long time. The product is also made really well too. So, if you are running, and you don't have at least a RoadID, go to their website and order one immediately. Your life may depend on it. I don't run without it and neither should you. 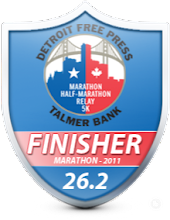 Tomorrow, I will have the listing of everyone signed up for the 5k for you to review. I write my information on an index card and pin it to my shirt............ That's the Arkansas Roadkill ID! Haha!!! Ken - then I hope that you are one of the winners in the 5k run. Good luck! Seriously though, you should get one if you don't win.